Children love the holidays and one of their favorite parts of <a href="http://www.inhabitots.com/a-green-thanksgiving-ways-to-make-your-turkey-or-tofurkey-day-more-eco-friendly/">Thanksgiving</a> is the desserts! Can you blame them? All of that creamy goodness known as pie - oh my! This year we are hosting <a href="http://www.inhabitots.com/celebrate-a-vegan-eco-and-kid-friendly-thanksgiving-with-these-recipes-crafts/">Thanksgiving dinner</a> and there will be children in our dinner party, so I wanted to add a little more fun to the dessert menu. I am planning on making an assortment of <a href="http://www.inhabitots.com/how-to-bake-organic-miniature-apple-pies-for-thanksgiving/">miniature pies</a>, this way the little ones can enjoy a little bite of everything without a lot of waste. <br><br> The simplest way that I found to whip up these miniature pies was by making them as cupcakes. This also makes them super portable for the morning after Thanksgiving when the whole family is snuggled on the family sofa with <a href="http://www.inhabitots.com/skip-prepackaged-mixes-make-organic-fair-trade-hot-cocoa-at-home/">hot cocoa</a> and tea in hand! Or, as an after Thanksgiving lunchbox treat. 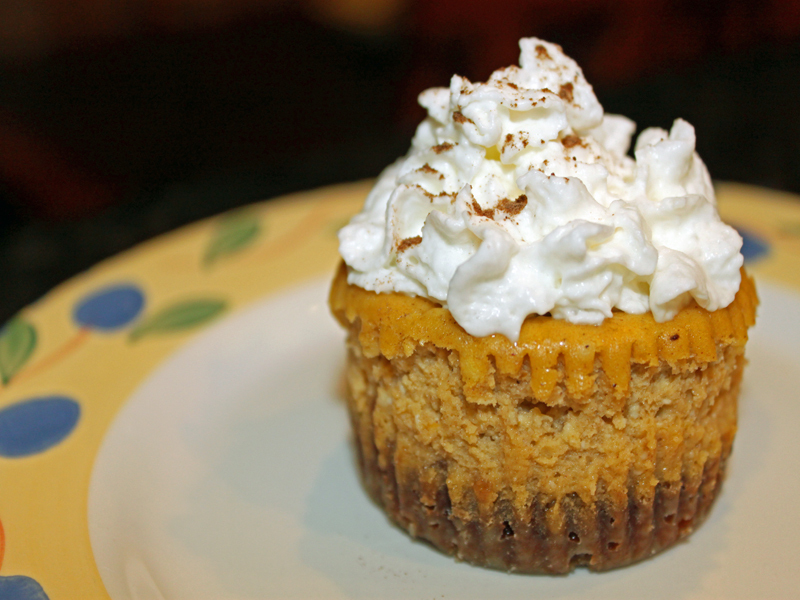 Read on to learn how to make these simple organic miniature pumpkin cheesecake cupcakes for your Thanksgiving dinner. I guarantee your entire family will love them, you can grab the one-page printable instructions <a href="http://www.inhabitots.com/how-to-bake-organic-miniature-pumpkin-cheesecake-cupcakes/mini-cheesecakes-8-2/">here</a>! 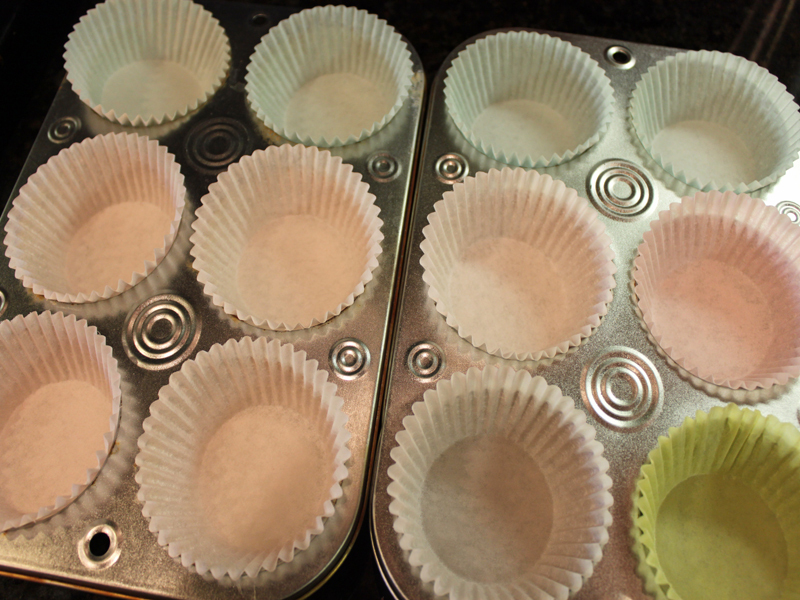 <h2>Step 1: Prepare!</h2> Preheat your oven to 350°F and add cupcake liners to six muffin holes of a tin. <h2>Step 2: Make the Crust!</h2> Add all of the crust ingredient except the butter to your food processor and pulse gently until you have thick crumbs. Pour the melted butter over the top and gently mix together. Carefully spoon equal amounts of your crumb crust to each of the cupcake liners and gently press down with your fingers. <h2>Step 3: Make the Filling!</h2> While the crust is baking, add the cream cheese, sugar and pumpkin puree to your stand mixer and mix well. (You can also use a hand mixer). 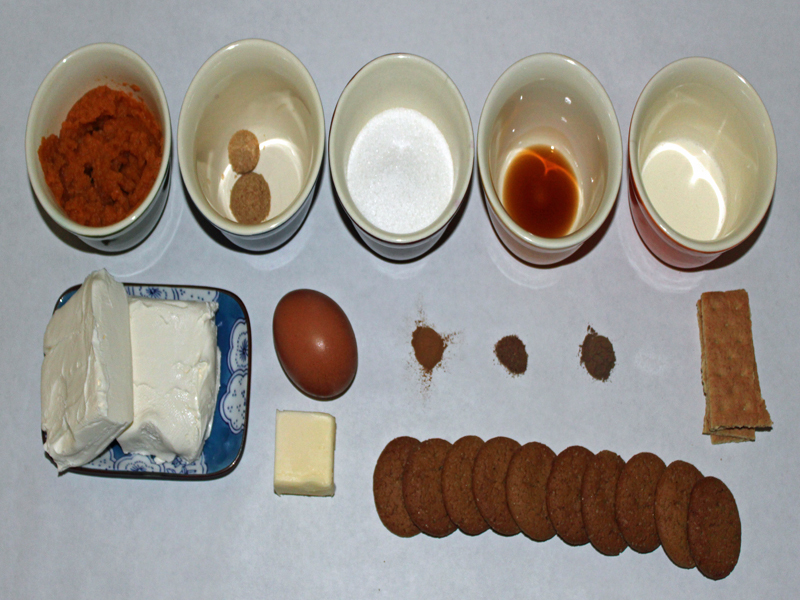 Then, add the spices, vanilla, egg and cream and mix until combined. <h2>Step 4: Add the Filling!</h2> Pour equal amounts of filling on top of each of the baked crumb, bake in the oven for 25 minutes. <h2>Step 5: Let it Cool!</h2> Remove the cheesecakes from the oven and allow them to cool for 30 minutes before removing the cupcake liners. <h2>Step 6: Serve and Enjoy!</h2> These little cheesecakes are perfect for any day or great for the kiddos on Thanksgiving since they are so small. You can serve with your favorite whipped topping or with organic vanilla ice cream! 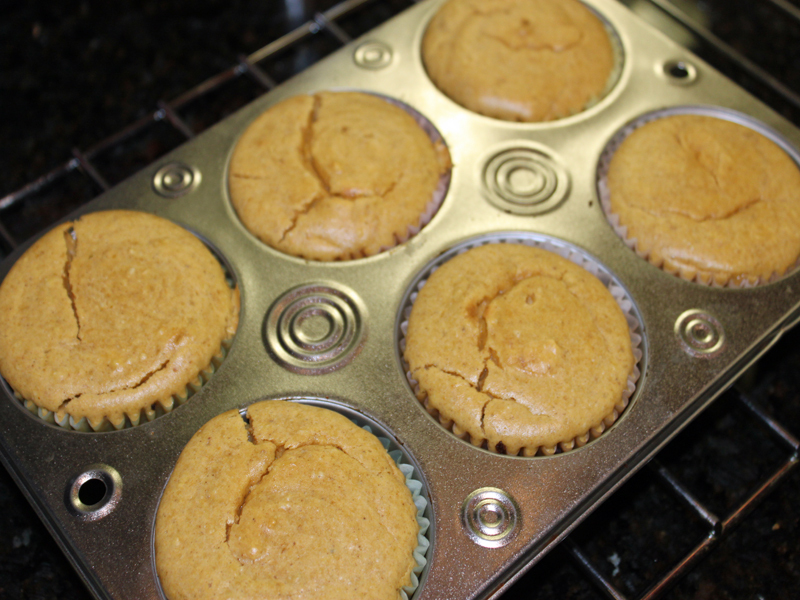 <h2>Organic Miniature Pumpkin Cheesecake Cupcakes</h2> What you will need: For the crust: <ul> <li>10 organic gingersnaps</li> <li>1 organic graham cracker</li> <li>1 1/2 tbsp. melted organic butter</li> <li>1 1/2 tsp. organic brown sugar</li> <li>pinch of salt</li> </ul> For the filling: <ul> <li>8 ounce organic cream cheese</li> <li>1/2 c. organic pumpkin puree</li> <li>1/4 c. plus 3 tbsp. organic sugar</li> <li>1 organic egg</li> <li>2 tsp. organic cream</li> <li>1/2 tsp. organic vanilla</li> <li>1/4 tsp. organic cinnamon</li> <li>1/4 tsp. organic allspice</li> <li>1/8 tsp. organic nutmeg</li> </ul> For the topping: <ul> <li>your favorite organic whipped topping or organic vanilla ice cream</li> </ul> Preheat your oven to 350°F and add cupcake liners to six muffin holes of a tin. 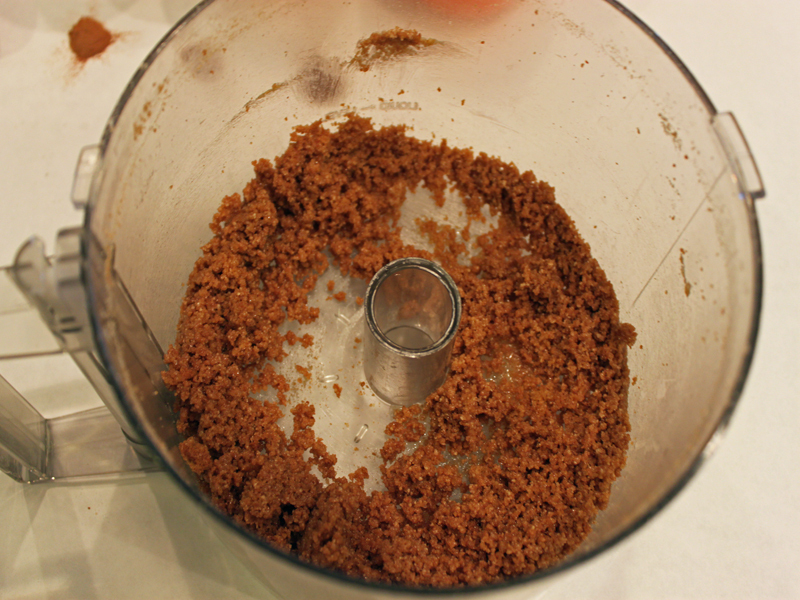 Add all of the crust ingredient except the butter to your food processor and pulse gently until you have thick crumbs. Pour the melted butter over the top and gently mix together. Carefully spoon equal amounts of your crumb crust to each of the cupcake liners and gently press down with your fingers. Bake the crust for 10 minutes. 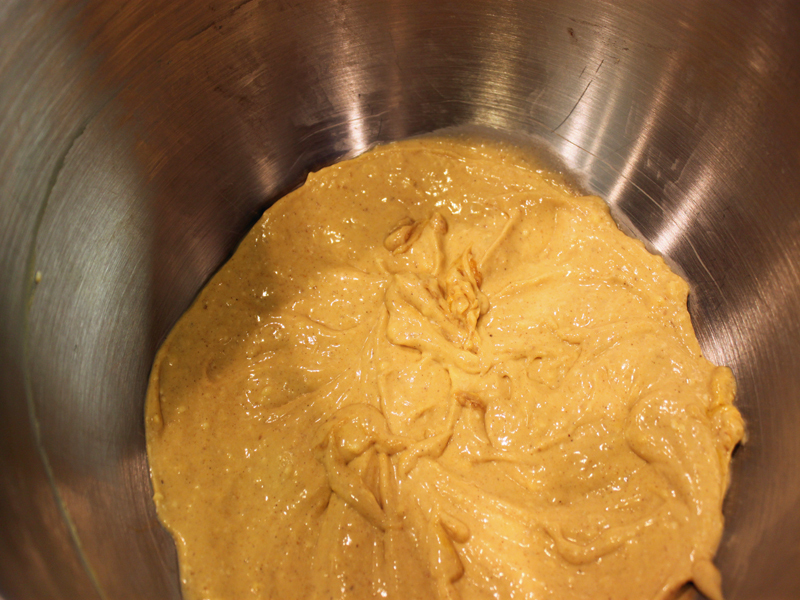 While the crust is baking, add the cream cheese, sugar and pumpkin puree to your stand mixer and mix well. (You can also use a hand mixer). Then, add the spices, vanilla, egg and cream and mix until combined. Pour equal amounts of filling on top of each of the baked crumb, bake in the oven for 25 minutes. 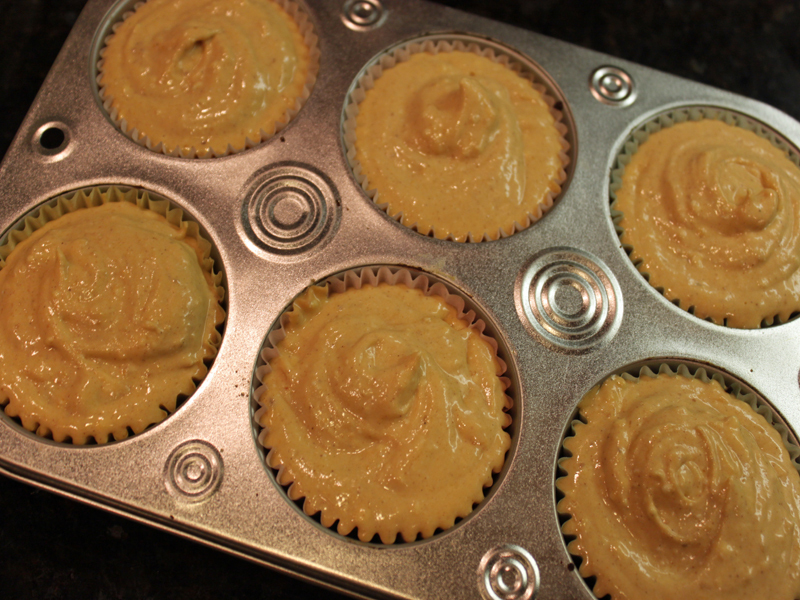 Remove the cheesecakes from the oven and allow them to cool for 30 minutes before removing the cupcake liners. These little cheesecakes are perfect for any day or great for the kiddos on Thanksgiving since they are so small. You can serve with your favorite whipped topping or with organic vanilla ice cream! Children love the holidays and one of their favorite parts of Thanksgiving is the desserts! Can you blame them? All of that creamy goodness known as pie - oh my! This year we are hosting Thanksgiving dinner and there will be children in our dinner party, so I wanted to add a little more fun to the dessert menu. I am planning on making an assortment of miniature pies, this way the little ones can enjoy a little bite of everything without a lot of waste. The simplest way that I found to whip up these miniature pies was by making them as cupcakes. This also makes them super portable for the morning after Thanksgiving when the whole family is snuggled on the family sofa with hot cocoa and tea in hand! Or, as an after Thanksgiving lunchbox treat. 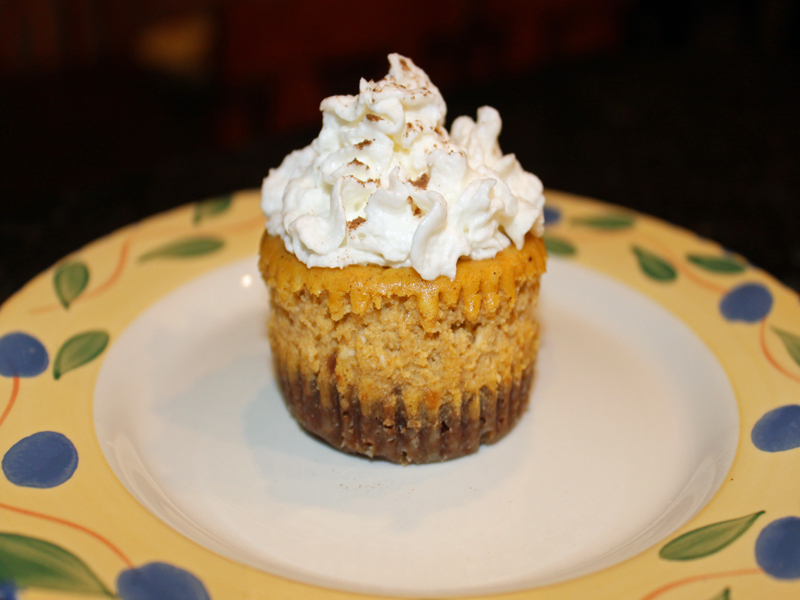 Read on to learn how to make these simple organic miniature pumpkin cheesecake cupcakes for your Thanksgiving dinner. I guarantee your entire family will love them, you can grab the one-page printable instructions here!